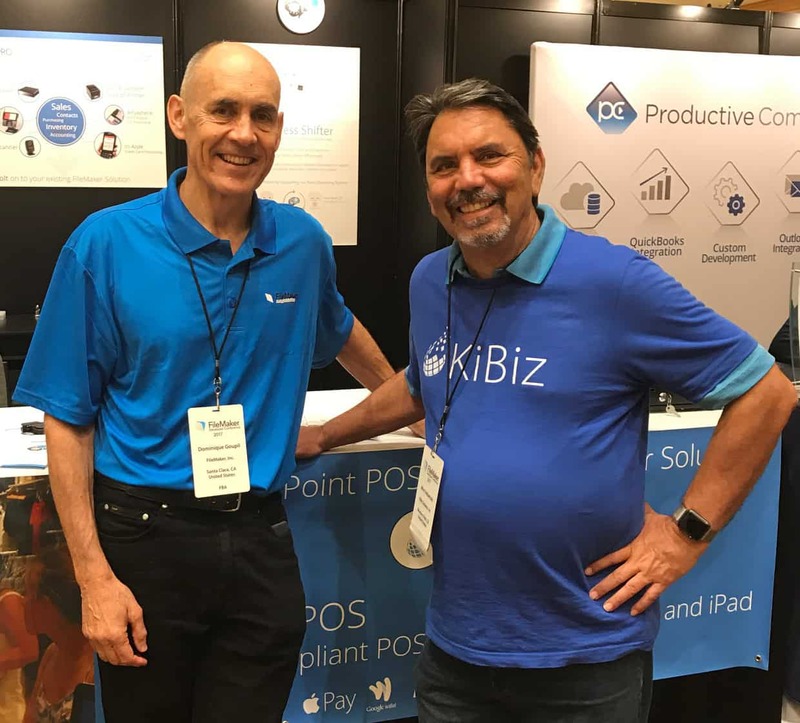 KiBiz Systems exhibited and presented at DevCon 17 to show off all of the functionality of KiPoint POS 4, a fully encrypted PCI compliant FileMaker based POS solution that can stand alone or bolt on to any FileMaker solution. There was a lot of excitement about the KiBiz booth. FileMaker president, Dominique Groupil stopped by to take a look. 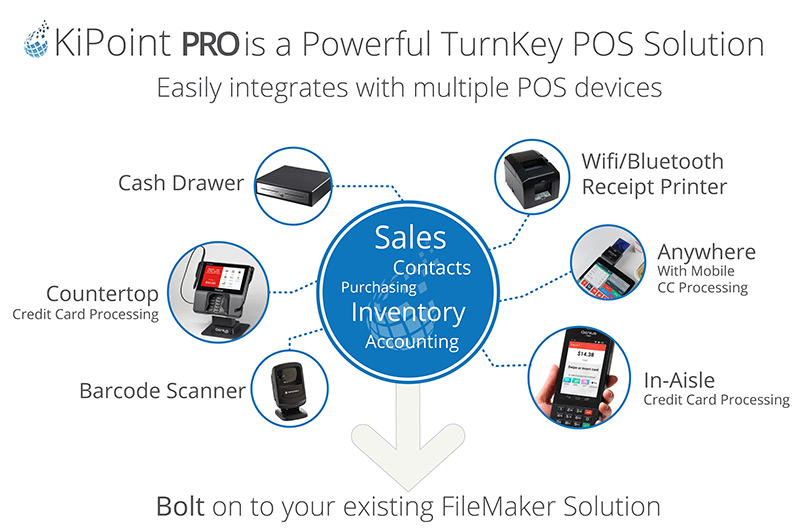 Many developers were excited to learn that they could now offer KiPoint POS to their existing clients as a bolt on POS solution. A lot of potential customers were very excited to learn more about KiPoint’s robust features and capacity to function as a standalone POS solution for retail stores. KiPoint POS is now fully operational in over 30 Brandy Melville Stores. Many were surprised to learn that with KiSwipe they can easily process encrypted credit card transactions on iPad, without needing a plugin. One customer, in particular, was happy to learn that with the many Cayan products such as their new handheld device or Genuis mini for iPad they would be able to process credit card transactions including EMV chips, Apple pay, Google wallet and PayPal to process credit card transactions at music festivals. With Cayan’s products and the power of KiPoint it makes it easy to process credit card transactions anytime anywhere safely and securely.